City of London is one of my steady, predictable, middle-of-the-road income trusts. 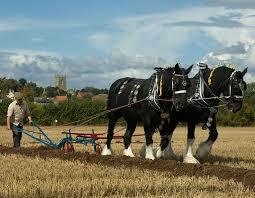 It feels like a dependable, faithful old carthorse. I first purchased CTY for my personal equity plan (PEP) in 1995 - it has served me well enough over the past two decades and it represents the largest weighting in my IT portfolio (ISA and SIPP drawdown). City have just announced full year results for the year to 30th June 2017 (link via Investegate). Share price total return has increased by 16.7% over the year and moved from marginal discount to a premium of 1.8% above net assets. The performance was however less than the FTSE All Share benchmark of 18.1%. Dividends have increased by 5.0% from 15.9p to currently 16.7p giving a yield of 3.9%. This represents over 50 years of rising dividends - quite an achievement if you think back to the start of this run when England last won the World Cup in 1966 - I remember it well! Dividend reserves were bolstered by the addition of a further £4.7m which translates to an increase of 0.8p per share to 14.3p. Earnings per share rose by 2.3% to 17.8p, mainly reflecting the underlying dividend growth from investments held of 4.6%. This is a UK income trust and therefore the majority of holdings are listed on the FTSE. Large companies (FTSE 100) now account for 69% of the portfolio, medium companies 19% and overseas-listed companies 12%. Ongoing charges are 0.42% and remain the lowest in the sector. For the first time, there is a comment on the rise of competition from passives. "There has been much recent comment extolling the virtues of passive investment strategies, on the basis that active managers charge much higher fees and rarely outperform their benchmark index over the long term". "This is not an accusation that can validly be levelled against City of London. Our ongoing charges ratio of 0.42% is the lowest in the AIC UK Equity Income sector and is very competitive with the OEIC market, with most other investment trusts and with other actively managed funds. 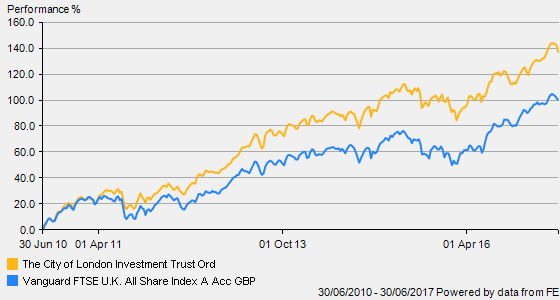 City of London has outperformed the FTSE All-Share Index over each of the last three, five and ten year periods. 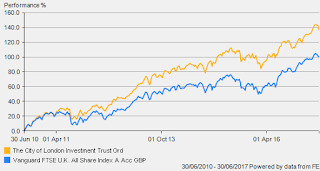 If you had invested £10,000 in the Company ten years ago and reinvested the dividends, your investment would be worth £21,908, compared with the £16,847 that same investment would now be worth had you tracked the FTSE All-Share Index over that period. While investors may be content to replicate an index in a rising market, they may not be so sanguine when share prices are falling: there is a danger that the automatic buying and selling of stocks which is inherent in index tracking aggravates extremes in share price valuations. It also remains to be seen whether passive funds such as Exchange Traded Funds provide sufficient liquidity in a bear market because they have not been tested in their current size. By contrast, City of London's gross assets now exceed £1.5 billion and its market capitalisation stands at just under that figure. Our size means that we provide investors with a ready liquid market in our shares and our closed end status enables us to ride out market setbacks without being forced into selling sound investments at inopportune moments." The fact that such comments have to be made suggests the actively managed sector are worried about the threats posed by the rapidly growing market share of index funds. 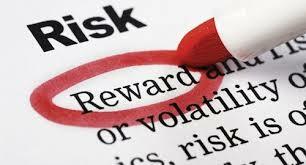 There is a widely held perception that investing on the stock market is very risky . I often read comments in the popular press money pages which suggest it is akin to gambling at the casino where the odds are heavily stacked in favour of the house. There must be a good reason for this - some will result from having a poor understanding of finance generally but others may have ventured into investing without understanding the nature of the risk they were undertaking or how they would react to a sudden fall in the markets. Many new investors are sucked in to making easy money when there has been a prolonged bull market (such as now!) but are totally unprepared for a 20% loss when the bull run ends and fear grips the market. We may spend a great deal of time researching our investments, maybe looking into some individual shares, comparing funds to ETFs, the costs of active funds v passive etc. without a thought on whether we possess the right emotional attributes to carry through a long term project. Whilst all the above are important, the end result of a carefully researched plan may fall short without some understanding of your emotional/psychological make-up and ensuring this is a close match with your chosen investing strategy. 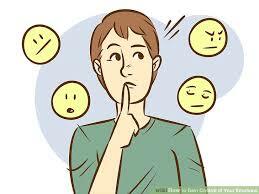 Emotions will play a large part in our lives - work, relationships etc. and it would be surprising if they did not come into play during the investing process. At times, the markets can be a rollercoaster ride - it can be just as challenging to stay with the plan during the upswings as when the markets head south. We may be driven by greed to maximise returns from our portfolio when markets are rising and then gripped by fear at the prospect of losing any gains during a bear market which seems to appear from nowhere. "We have seen much more money made and kept by 'ordinary people' who were temperamentally well suited for the investment process than by those who lacked this quality, even though they had an extensive knowledge of finance, accounting, and stock market lore" Warren Buffett. We therefore need a plan which takes into account our personal capacity and reaction to loss and then put in place a realistic allocation of assets to closely match the degree of risk and volatility we are prepared to take. Some people are natural risk takers and may be temperamentally well suited to a higher exposure to equities, whilst others are naturally cautious and require a more balanced allocation which may include a higher percentage of bonds, fixed interest and property. However, staying calm when the markets take a tumble will present a challenge for the most relaxed investor. It is therefore important to have a robust plan for the long term so that your strategy does not collapse during the rough seas of market volatility. We all possess unique personality traits and preferences combined with a range of emotional and cognitive biases which all impact on the way we invest - or even prevent us from engaging in the investing process completely. There are many academic studies of this aspect of investing known as behavioural finance. An assessment of our emotional make-up does not need to be complicated. Most people will know whether they are naturally cautious/reserved or carefree/outgoing. 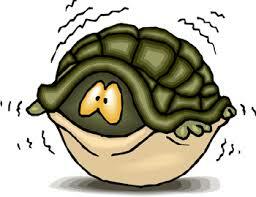 Some people are natural risk-takers, others prefer the slow & steady option. Knowing these basic types will help to select the most appropriate asset mix. You can use an online tool such as Vanguard's AssetMixer to show how various allocations of equities/bonds/cash perform over a set period. 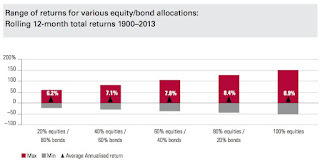 As a general rule, the anxious/cautious personality will be more suited to a steady, low volatility portfolio with a higher percentage of bonds and cash in the overall mix and correspondingly lower proportion of equities. Wealth managers can try to understand their clients personality type by identifying four basic profiles - Preservers, Accumulators, Followers and Independents. Preservers place more emphasis on preserving what they already have and do not feel comfortable taking risks to accumulate more wealth. They will keep a close eye on short term performance and will become anxious about losses. They may even have difficulty taking action for fear of making a wrong call...making no decision is better than making the wrong decision. On the other hand Accumulators are confident risk takers who typically believe the path they have chosen is correct. They may have been successful with business ventures and believe they will also make a success of investing. The over-confident type typically believe they have an edge over others and will be attracted to active management and stock picking which are higher risk strategies. Followers will typically latch on to the latest investing trend or pick up investing tips from friends or discussion boards. They do not work out their own plans and may follow the bandwagon without any real understanding of the financial markets or risks involved. Independents take great interest in the process and can analyse a situation and then trust their own judgment to make confident and informed decisions. Independent thinking and having confidence in what you believe is much more important than being the smartest person in the market. So, are you naturally cautious or do you like the thrills and spills? Do you seek instant gratification or are you patient? Are you more skilful than the average investor? Can you accurately predict the direction of the markets? Are you overly influenced by the so-called experts or do you do your own thing? 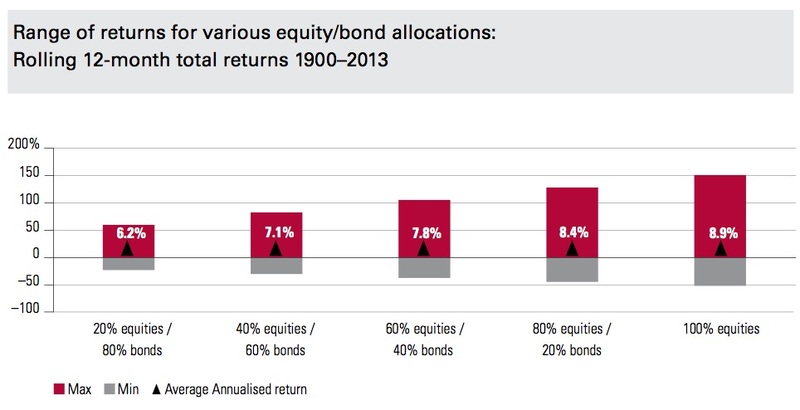 How would you react to losing 10% of your portfolio value?…25%?…40%….? Having a little insight on how you may react in certain situations will be a big advantage in the process of investing. It could make the difference between reaching your long term objective or falling at the second hurdle. Personally, it has taken some time for me to understand the links between my investing strategy and behavioural biases and psychological temperament. I can well understand the whole process intellectually, but implementing a well-thought out plan for the longer term has involved coming to terms with my tendency towards over confidence and under-estimating of the risks involved. I also have a tendency to over-activity which leads to tinkering. I am slowly coming to terms with the concept that doing nothing 9 times out of 10 is probably the correct course. As a result of this increased awareness, I have made a few adjustments to my strategy in recent years. These include the moving away from the constant monitoring of my portfolio; deciding a basket of individual shares was no longer suitable; a gradual move from actively managed to passives; simplifying the strategy by incorporating Vanguard Lifestrategy as a core holding. What emotional aspects of investing cause difficulties to you? Feel free to leave a comment and share your thoughts and experience with others.